Volvo has released a new interior car design that puts the baby in the front passenger seat of the car, next to the driver. The 'Excellent Child Seat Concept' from Volvo is giving parents access to an ergonomic swivelling chair and allows the child to be locked rear facing for travelling. 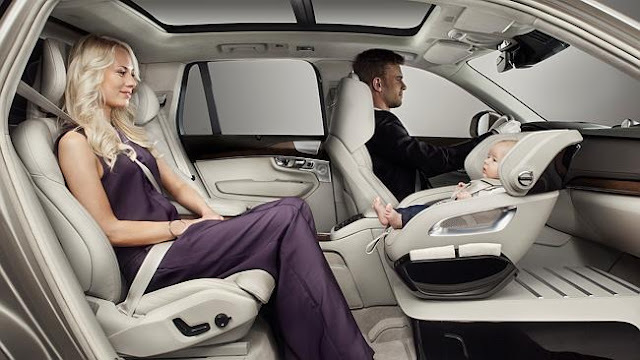 Volvo wanted to make travel easier for parents without compromising the safety of the child (although many comments on social media come from parents concerned about the child bearing the brunt of impact at the front of the car in the event of an accident), so they have done this by allowing the chair to be rear facing but in the front passenger position.